If casting a line in a river or stream meandering peacefully through fall’s golden landscape, breathing in the cool mountain air, and hearing the bugle of a bull elk sounds like paradise to you, then grab your waders and come on over to experience the solitude of the season. Good hatches are on tap and monster brown trout are spawning—we wait all year for fall lake runs. Fish the magical blue-ribbon trout waters of the Blackfoot River, made famous by Norman Maclean’s “A River Runs Through It” and offering some of Montana’s best fishing. Get out your mahoganies, midges and blue-winged olives for fall fly-fishing here, as well as on the Clark Fork River where rainbows are on the rise and fall colors are in full effect. Or, find multiple fishing access site along the winding and scenic Bitterroot River, flowing through the beautiful Bitterroot Valley and ready for your mayflies, hoppers and worms. For experienced anglers who know how to navigate big rivers and plan to fish with streamers up to five inches long, the Kootenai River below Libby Dam offers huge rainbow trout, a boat ramp and easily accessible shorelines. Up north near Glacier National Park, the Middle Fork of the Flathead River provides a scenic 9-mile fall float from Moccasin Creek to West Glacier—which takes about four hours this time of year—in stunning emerald-colored waters full of cutthroat trout. Multiple fishing access sites are available throughout the the state. Consult Montana’s Fishing Access Sites Field Guide for maps, species and land information. 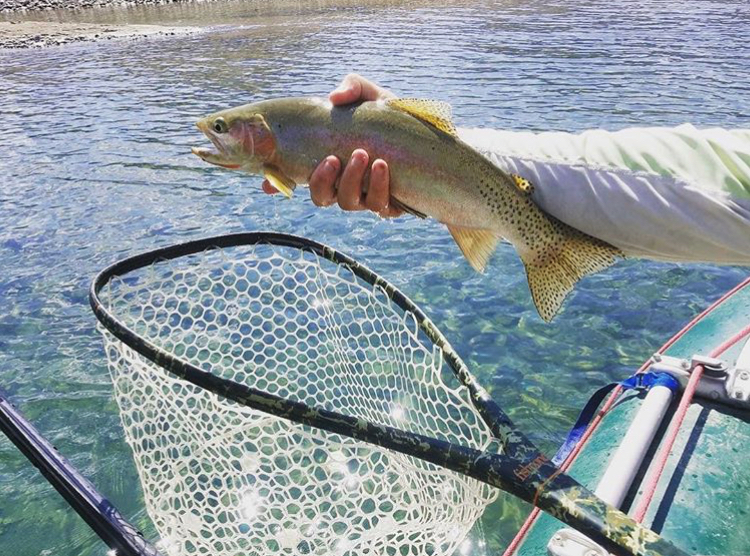 Fishing in Montana usually conjures up images of casting a fly rod in an idyllic river setting, but Western Montana boasts some pretty phenomenal lake fishing. The deep, cold waters of Flathead Lake—the largest freshwater lake west of the Mississippi—offers cutthroat and lake trout as well as whitefish and yellow pike. The Mission Mountain scenery is incredible and western hospitality abounds in the surrounding communities. Seeley Lake is a year-round recreation destination, offering stunning views of the Swan and Mission ranges and excellent bass fishing. Straddling the U.S.-Canada border in the northwest corner of the state, the 90-mile-long Lake Koocanusa reservoir has been known to produce 10-pound rainbow trout in the fall—one of our best-kept secrets. Lake Como, a few miles north of the quintessential Old West town of Darby, is quite a popular fishing spot in the warmer season. Fall provides an opportunity to fish this local’s favorite with a little more solitude—and bask in the beauty of autumn in the Bitterroot Valley while you’re at it. Jigging is our preferred method for deep lake fishing, and heavily-weighted jigging spoons your best bet. If you’re stillwater savvy, you might consider lake fly-fishing. Some of the largest fish you’ll find by fly may actually come out of a lake. Make sure to use a special stillwater indicator. Going on a fishing trip with a knowledgeable outfitter like Glacier Raft Co. can help ensure a great catch. Photo: Glacier Raft Co. 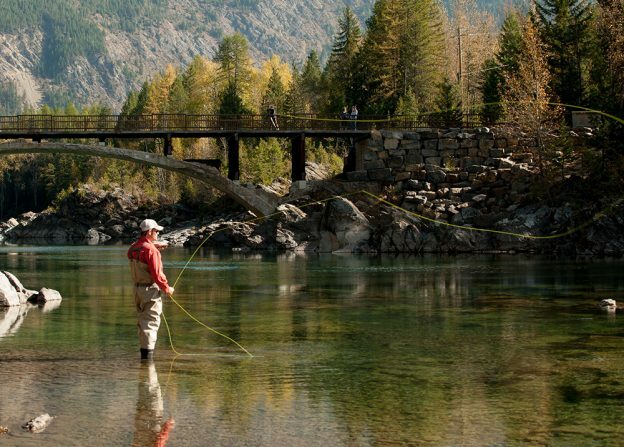 World-class fly-fishing tends to attract world-class fishing guides, and Glacier Country is chock-full of experienced and friendly outfitters and guides with the local knowledge and inside scoop on fishing in Western Montana. They’re always ready and eager to take you out to their favorite fishing spot and help you land the big one. From finding the right fall fly, to steering you toward the best stream, to guiding you down the river on a daylong or overnight float trip, this is their life’s work, and they love every second of it—you will, too. 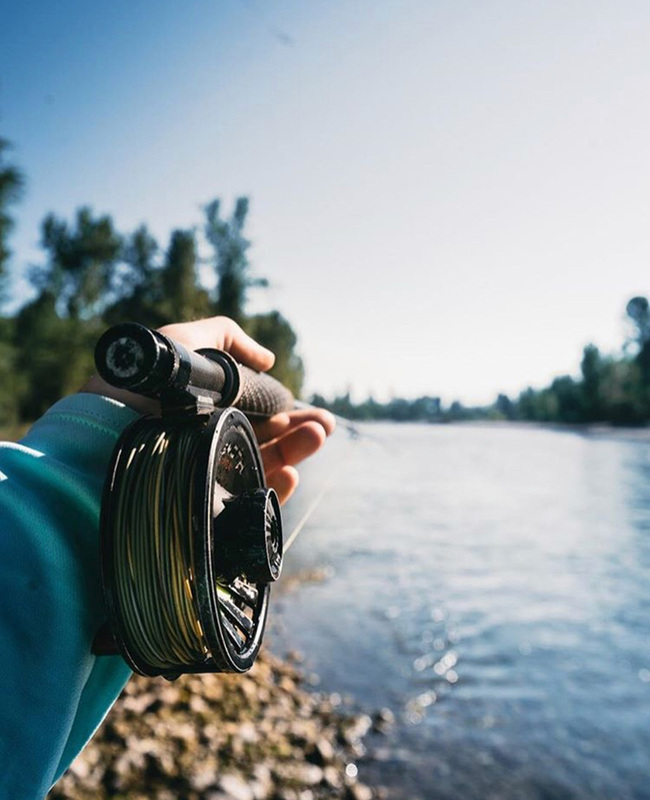 While wade-fishing is the most common way to fish Western Montana’s rivers and streams, float fishing is becoming increasingly popular, especially on larger rivers, and hiring a guide is your best bet for a successful float-fishing adventure. Another reason to go with a guide? Western Montana boasts endless off-the-beaten path “secret spot” streams, trickling mountain creeks and hidden alpine lakes. The best way to find these local treasures is to go with a guide who’ll happily share their spot. For more information on outfitters and guides, visit the Montana Outfitters and Guides Association at montanaoutfitters.org. Western Montana is a fly-fishing mecca. Fish the fall run. Stripping big streamers will bring in the biggest brown trout during their fall run mid-October through November or early December. Find a stretch of river downstream of the spawning run of a lake or larger river. Head for the hatch. November’s baetis (blue-winged olive) hatch offers excellent fall dry-fly-fishing at a time when most of our rivers are experiencing low to no fishing pressure. Be prepared for any kind of weather and dress accordingly. 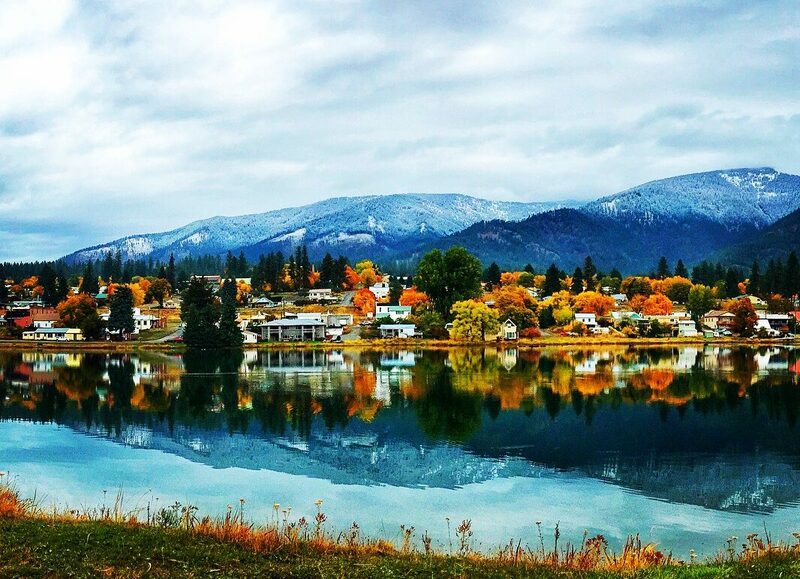 We can’t say it enough: Montana’s fall weather can have a flair for the dramatic. You could wake up to fresh snow and be fishing in a T-shirt by noon. Or vice versa. Check weather reports before you head out, and always be prepared. Base layers are essential this time of year, especially when wade fishing in a cold stream. Permits, rules and regulations. A valid fishing license is required for all types of fishing on state waters. To fish in Montana, most anglers need two licenses: a conservation license and a fishing license. Visit Montana Fish, Wildlife & Parks for state fishing regulations—including catch and release guidelines and daily possession limits. Fishing on tribal lands. 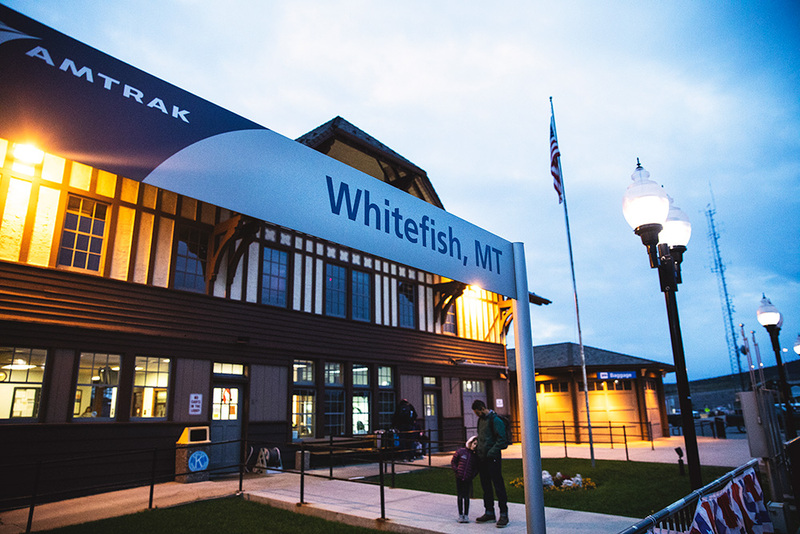 Western Montana is home to two Indian reservations—the Confederated Salish and Kootenai Tribes of the Flathead Reservation and the Blackfeet Tribe of the Blackfeet Reservation. Special rules and regulations apply when recreating on tribal lands. If you’re planning to fish Blackfeet Nation Indian Reservation land, visit Blackfeet Fish and Wildlife Department. For Flathead Reservation fishing regulations, visit the Natural Resources Department of the Confederated Salish & Kootenai Tribes. For more information on autumn angling adventures in Western Montana, click here or contact Montana Fish, Wildlife & Parks. This entry was posted in Fall, Fishing, Montana Fun, Outdoor Fun, Things To Do, Uncategorized, Water Fun on October 15, 2018 by glaciermt. First things first: Let’s talk 200. Discovery is inevitable on this road less traveled. State Highway 200 offers access to a slice of Montana that may not be on your radar, but should be. This treasure trove of outdoor recreation in the northwest part of the state is also chock-full of small-town surprises for those who like to wander off the beaten path. 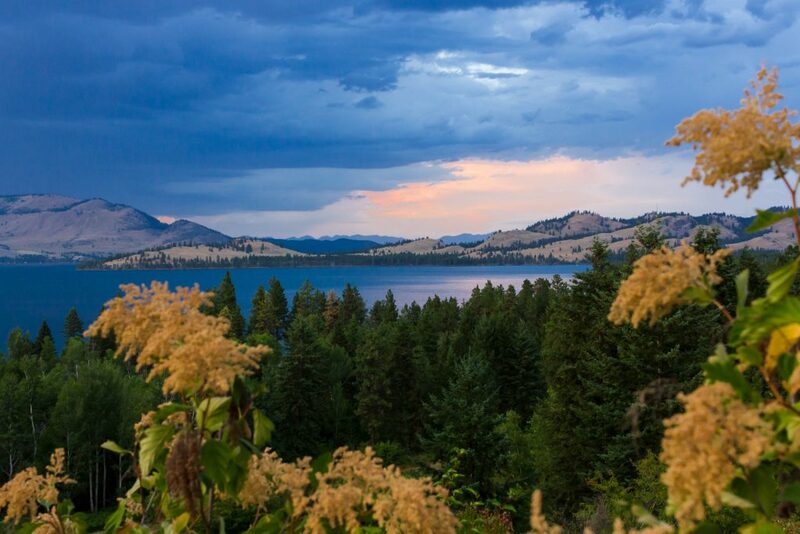 The section of Highway 200 from Dixon to Heron is so scenic it’s been designated “Montana Tour 200.” It humbly winds its way through the Cabinet and Coeur d’Alene mountain ranges, with diverse side trips, scenic drives and backroad adventures offered all along the route. Recreation and solitude abound here, and so does authentic western hospitality. Folks are friendly and the lodging is cozy. Finding solitude here is pretty simple. Thousands of miles of trails offer adventure in every direction. Fall and winter are especially good for hunting and fishing—Outdoor Life magazine listed Thompson Falls #16 of the 35 best hunting and fishing towns in the country. 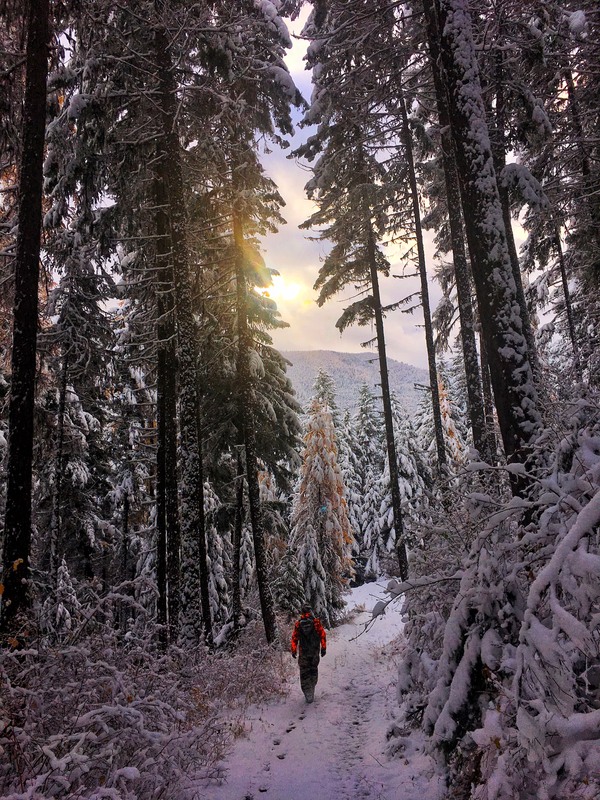 It’s also a haven for hikers that’s exceptionally beautiful in the golden hues of autumn, and winter offers a snow-globe setting that’s simply magical by snowshoe. Pro tip: Quinn’s Hot Springs is right down the road in Paradise, and a post-adventure soak in Paradise sounds pretty heavenly, if you ask us. 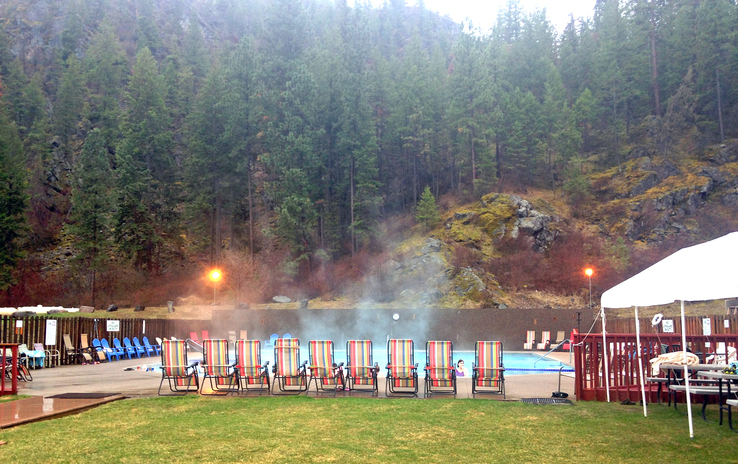 Steam rises from the pools at Quinn’s Hot Springs Resort in Paradise, Montana. Speaking of winter, one of our favorite winter activities is snowmobiling, and the Thompson Falls area offers a motorized mecca for powder hounds. 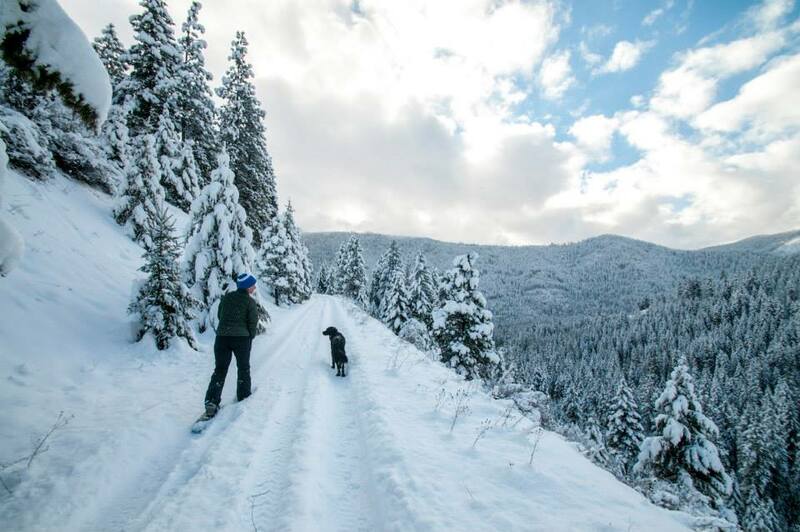 There are plenty of winter recreation opportunities including snowshoeing and sledding, but make sure to bring your own gear with you when you come. In short, Thompson Falls is pretty awesome and totally unassuming. It’s also so friendly it’ll knock your socks right off and then offer you a nice spot to put your feet up by a warm fireplace. Actually, you’ll find that’s pretty common in Western Montana’s Glacier Country. 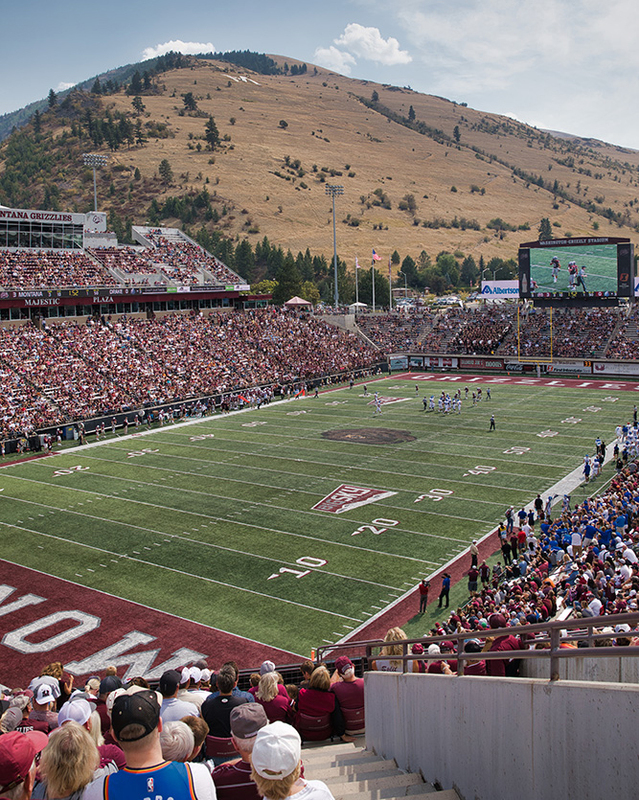 Come Tour 200 and see for yourself. Get festive in the Falls the first full weekend in December. Shop Main Street’s BUY LOCAL! event with fun activities, including the Main Street Scavenger Hunt, topped off with an evening parade for the whole family. The weekend also includes a musical at the local theater, a gingerbread competition at the Old Jail Museum and a Christmas Craft Show. There’s a little island on the Clark Fork River, and that little island has a park on it where you can view the Thompson Falls dam, a fish ladder, the Clark Fork River and valley, powerhouses, two bridges (including the newly renovated Historic High Bridge) and an old substation. Take a stroll down one of many trails and enjoy a picnic lunch with an incredible view. 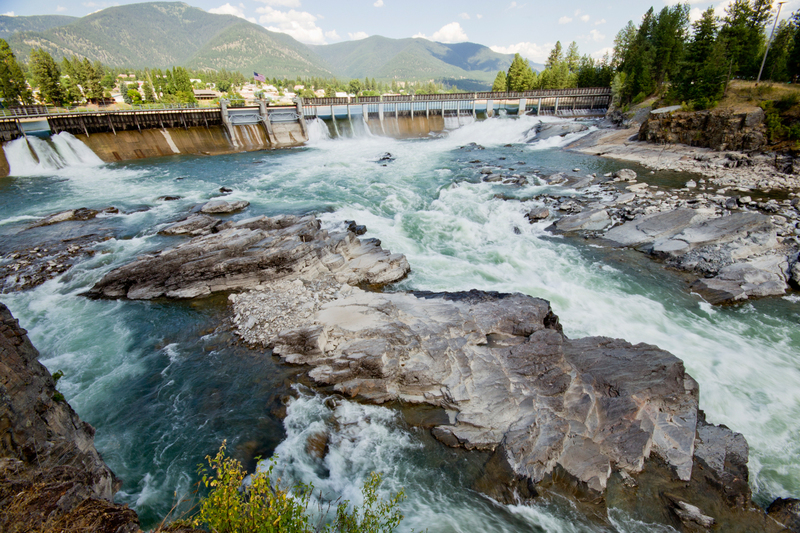 Built in 1915, the Thompson Falls Dam can be found on the Clark Fork River. 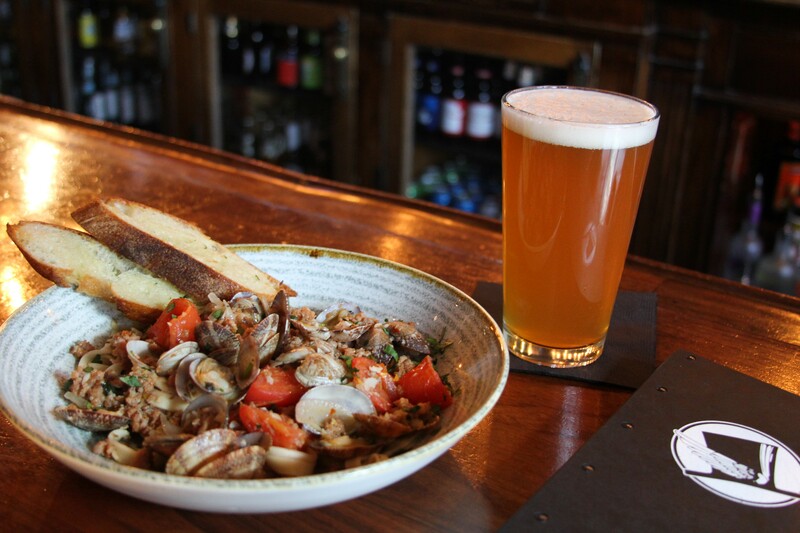 This mom-and-pop must-stop is a local favorite for homestyle cooking and comfort food, and, of course, that pie we mentioned earlier. The pie so good here you’ll be wondering if your grandmother is hiding in Minnie’s kitchen. 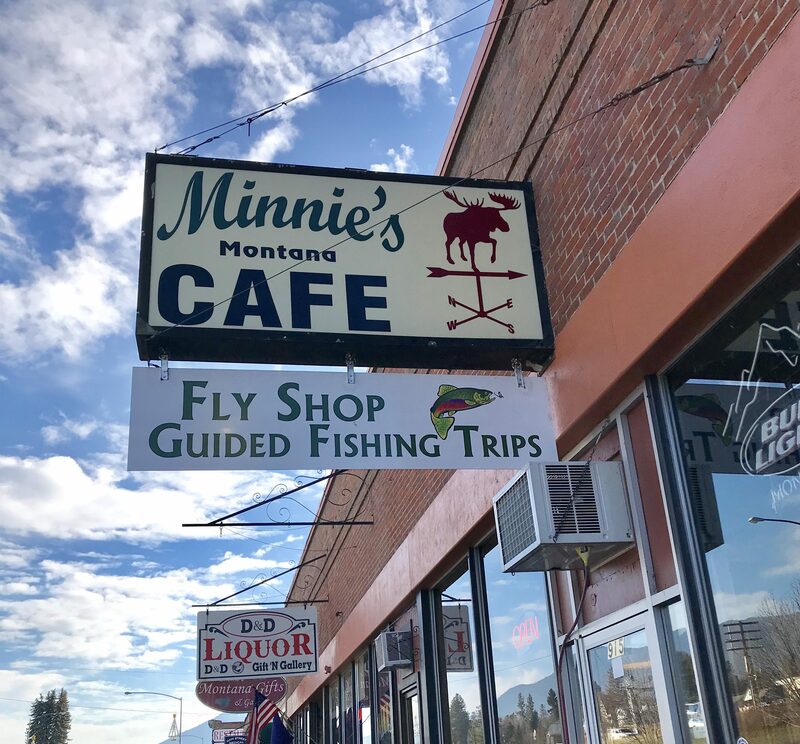 You must try Minnies Montana Cafe on Main Street. Ice Cream in the winter? Yes please. Even after pie? Absolutely. 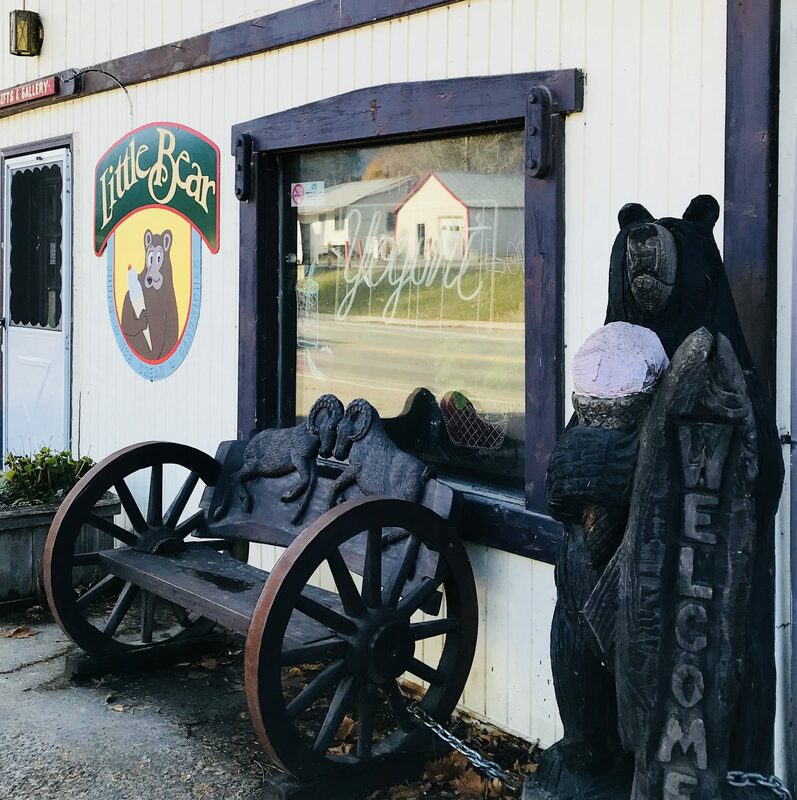 When it’s some of the best ice cream in the state, you’ll be in the mood for Little Bear any time of year. Save room for dessert at Little Bear. This entry was posted in Autumn, Dixon, Fall, Fishing, From The Road, Heron, Hot Springs, Montana Fun, Outdoor Fun, Paradise, Thompson Falls, Tour 200, Uncategorized, Winter Fun on November 16, 2017 by glaciermt. As we trade in autumn hues for winter white, we gravitate toward all things warm and cozy. 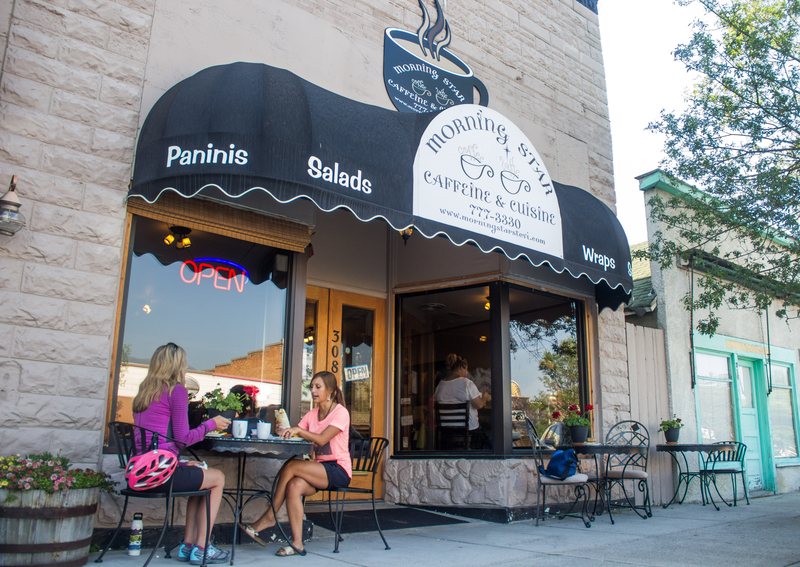 Western Montana is full of small-town coffee stops, diners, cafés and bakeries perfect for that warm caffeine boost and tasty treat you’re craving with these cooler temps. The next time you’re in Glacier Country enjoying our winter wonder, hit up one of our favorite sweet spots. The over-50-mile-stretch from Missoula down into the Bitterroot Valley is dotted with deliciousness, and the drive is a scenic one to boot. Watch artisan bakers prepare everything from cakes and breads to scones and macaroons, right in front of your eyes. Since 1978, Bernice’s has been providing Missoula with what some might call “the best sugar cookie west of the Mississippi.” Don’t believe us? Stop by for a perfectly iced, Montana-shaped sugar cookie and try to tell us we’re wrong. Plus, cookies always pair well with hot tasty beverages and Bernice’s has some of the best. 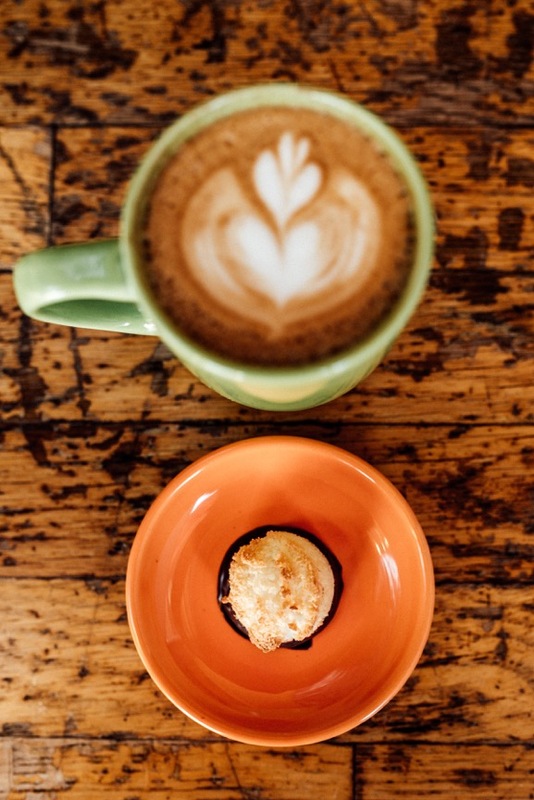 Enjoy a delectable macaroon with your latte at Bernice’s Bakery. Photo: Ashley Caitlin Photography. If you’re a shameless sweet-coffee drinker or a hot cocoa fanatic, this is your place. To complement their artisan baked breads and pastries, Red Rooster often lists specials like “The Ugly Mug”—a caramel mocha with whipped cream and caramel chocolate drizzle. Duck into their shop for a winter warmup. At Red Rooster Bakery in Hamilton, there are so many pastry options, so why not try them all? (We won’t tell… we promise.) Photo: Red Rooster. More of a brunch person? Don’t worry, we love brunch. This French Bistro is arguably the closest you’ll get to France in Montana. Stop by on Sunday for their AMAZING crepes. 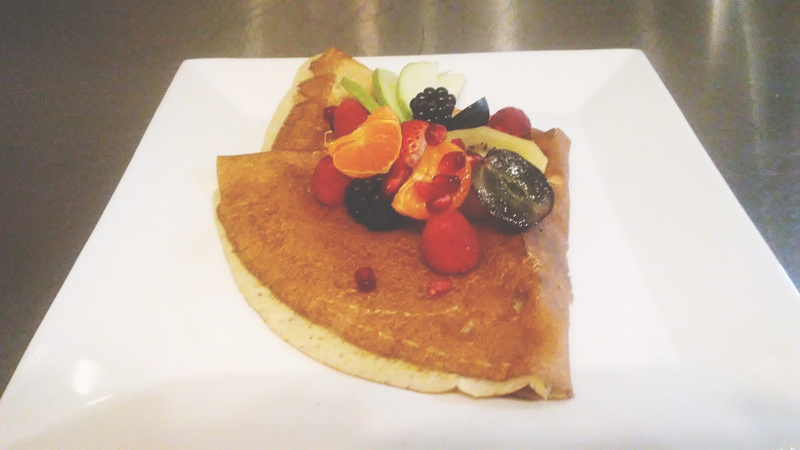 Montana meets France with a Taste of Paris crepe. Photo: Taste of Paris. If the first thing you think when you wake up is “I need caffeine” this is the place for you. Stop by for the main event—coffee—and stay for the quiches, pastries, soups and sandwiches. 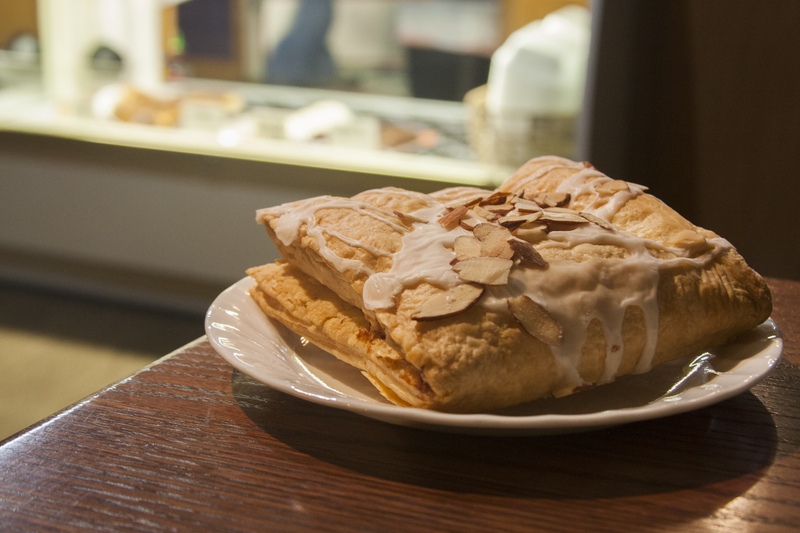 Start your morning off right with a huckleberry bear claw from Stevensville’s Morningstar Café. Sprinkled throughout the Bitterroot Valley and much of Western Montana, this coffee hut is always a comforting complement to a long day of Glacier Country exploration. Look for these adorable teal-colored drive-thrus in Missoula, Lolo, Florence (of course), Hamilton and Stevensville. 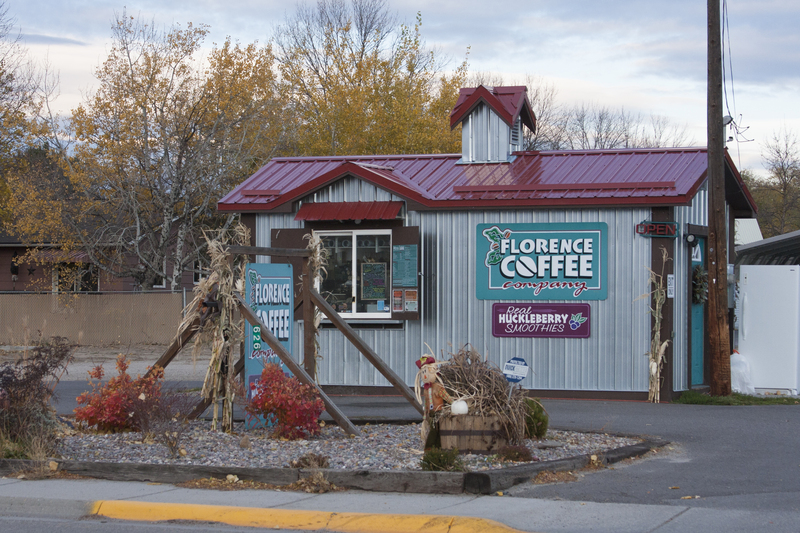 You’ll be hard pressed to travel through Glacier Country without seeing one of the famous Florence Coffee huts. Hearth-fired European-style breads and decadent pastries are rolled out every morning in one of the most delicious bakery cases you’ve ever laid eyes on. With names like Bacca Florentine, Kouign Amann and Pain au Nuit, it’ll be hard to decide what to pick. Cozy up in the bakery with an espresso and one of these incredible baked goods. 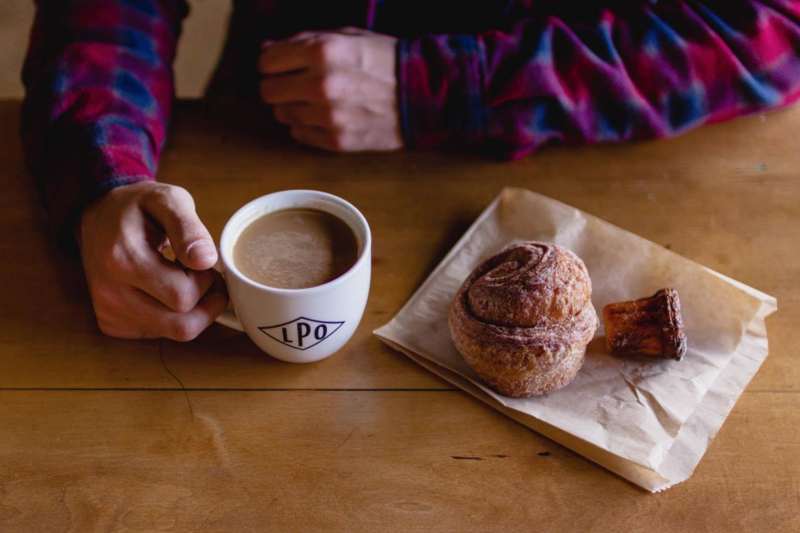 Kick back with a cannelle and coffee at Le Petit on Missoula’s Hip Strip. PHOTO: Rio Chantel Photography. This entry was posted in Autumn, Fall, Florence, Food, Hamilton, Lolo, Missoula, Stevensville, Uncategorized on November 8, 2017 by glaciermt. 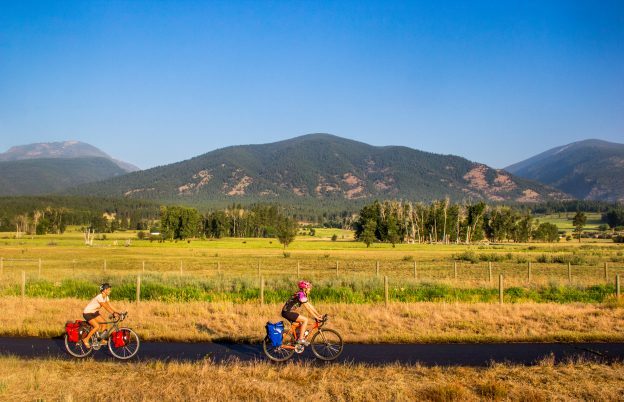 Three decades of hard work and dedication went into the completion of the 50-mile paved trail that connects Western Montana’s cultural hub—Missoula—with the gorgeous Bitterroot Valley, known fondly around here as “the Root.” The trail, stretching all the way to Hamilton, is lined with small towns, scenic bends, recreation hot spots, and a whole lot of beauty and charm. Paralleling the rugged Bitterroot Mountains to the west and the rolling Sapphire Mountains to the east, the trail allows bicyclists to weave their way through one of the most picturesque parts of our region, which is especially vibrant in the fall. The Bitterroot is also an angler’s paradise, and autumn in Montana offers quieter waters with heavenly golden views. 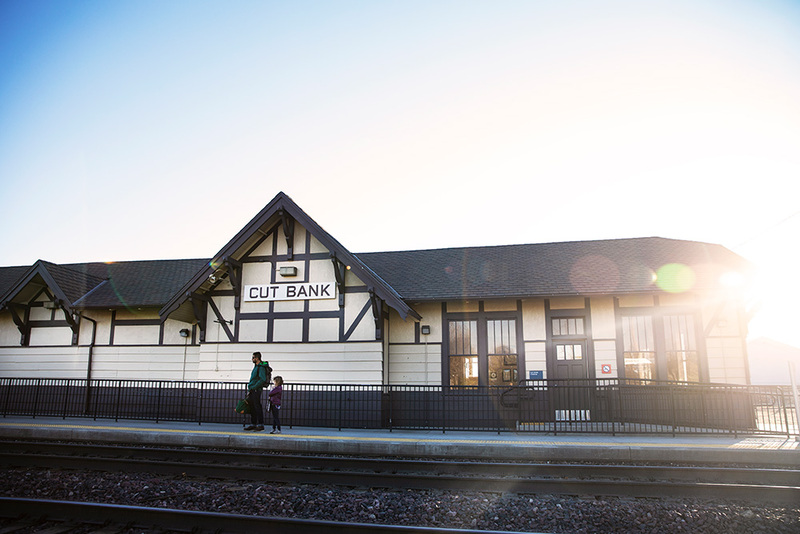 Fuel up in this hip little mountain town with coffee shops galore. Pack some snacks and hit the trail from the central part of town. Missoula also makes a great base camp for Glacier Country exploration. If you prefer to hit the path and go the distance without many stops, go for it; road bikes cruise the route frequently. It will not disappoint. If you’re up for it, venture off the path onto scenic backroads from Victor to Hamilton, or climb Skalkaho Pass and Sleeping Child Road. If you’re like us and you’re looking for a slower-paced pedal with side adventures aplenty, there’s much to see and do in the valley. Recreation opportunities abound in the Bitterroot National Forest, the Bitterroot River beckons, and the quaint towns along the trail offer a place to rest, recharge and experience the western hospitality we’re known for. Recreation areas, parks, mountain biking and hiking trails, and fishing spots dot the route, and various campgrounds provide drinking water, bathroom facilities and overnight sites, if you’re interested in making a stay of it. The small towns that make up the Bitterroot Valley offer adventure in abundance, plus unique local eateries, breweries and watering holes to fill your belly and quench your thirst. Lolo: Visit Travelers’ Rest State Park and Holt Heritage Museum (open by appointment only). Need a chocolate boost for the ride? 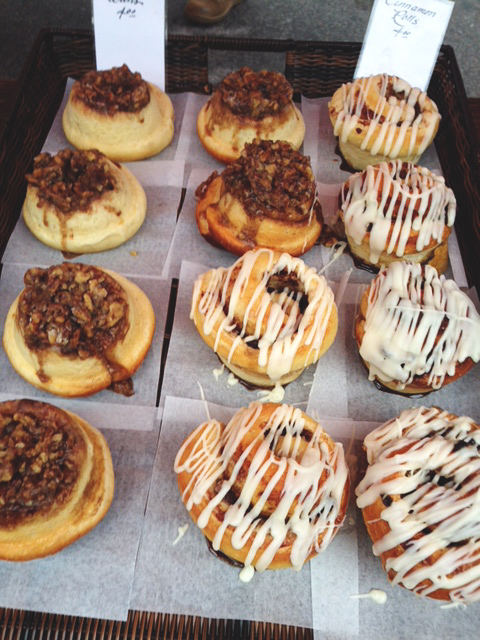 Stop in at The Sweets Barn for just that. Florence: Veer off the trail southeast of Florence for mountain biking at Threemile Wildlife Management Area, or head to Chief Looking Glass Campground for blue-ribbon trout-stream fishing access on the Bitterroot River. 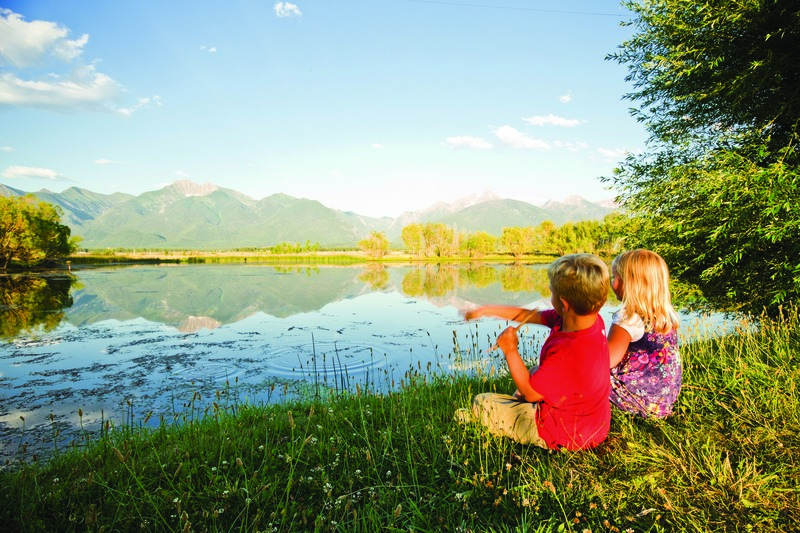 Stevensville: Find yourself in Montana’s first settlement. Check out St. Mary’s Mission for a history lesson or the Lee Metcalf National Wildlife Refuge—a birder’s paradise. For a bite to eat, downtown Stevensville packs a lot of punch for its size. 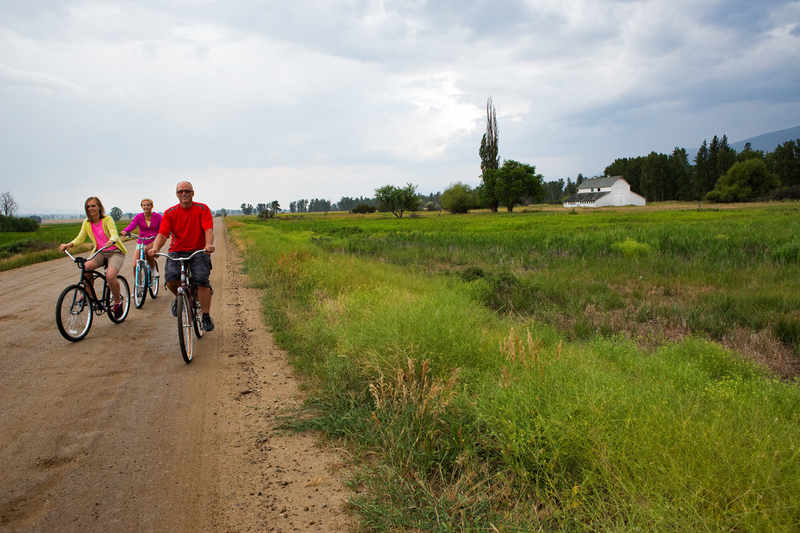 Biking near Lee Metcalf National Wildlife Refuge. Victor: Visit the Victor Heritage Museum, and also find easy access to the Bitterroot National Forest. Visiting in October? Victor’s Field of Screams is exactly the haunted adventure it sounds like it is. At the southern end of the trail, Hamilton is the Bitterroot’s largest small town. Tour the historic Daly Mansion or recreate in nearby Blodgett Canyon. After 50+ miles of pedaling, you might need a drink, and you’ve undoubtedly worked up a Montana sized appetite…so go ahead and make your way to Moose Creak Barbecue, or pull up a barstool at one of the town’s beloved breweries—Higherground Brewing Co. or BitterRoot Brewery, both of which serve delicious food, too. Biking the Bitterroot Trail is a pretty unique way to tour this storied and scenic valley and create your own adventure in Western Montana’s Glacier Country. 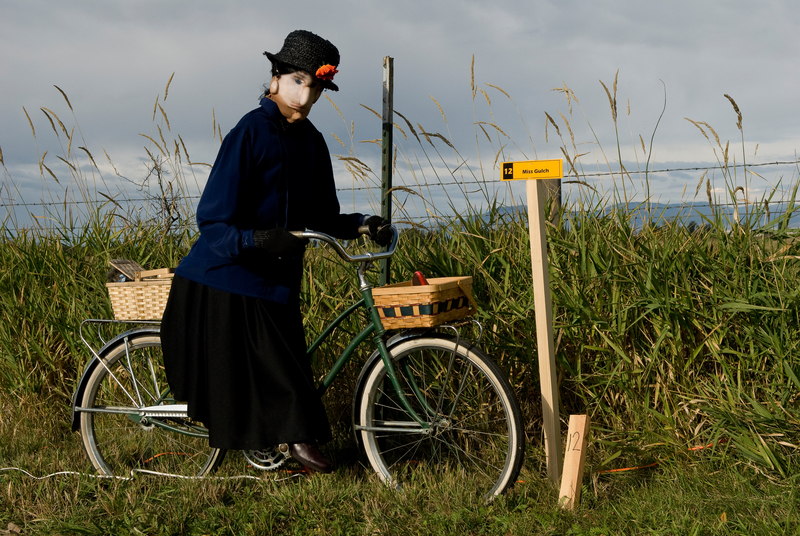 Grab a bike, and we’ll see you in the Root! 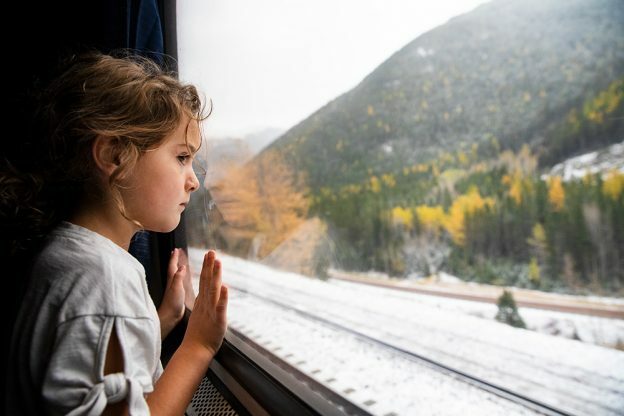 This entry was posted in Autumn, Bitterroot Valley, Fall, Family Fun, Florence, From The Road, Getting Around, Hamilton, Lolo, Missoula, Montana, Montana Fun, Outdoor Fun, Stevensville, Things To Do, Uncategorized, vacation, Victor on October 25, 2017 by glaciermt. Western Montana’s golden fall foliage set against our signature big blue sky is enough to make autumn a lovely time to visit Glacier Country. Add to that our strong heritage of local harvest traditions and Halloween happenings, and the season becomes downright fun. Family activities abound this time of year, and we’re here to give you an insider’s guide to some of our best—and spookiest—festivities. So grab that pumpkin spice latte you’ve been waiting all year for (and perhaps a handful of candy corn) and give in to your craving for all things autumn. Oh, and don’t forget your costume. October 21, 2017, 1 – 4 p.m.
October 27 – 28, 2017, 7 – 10 p.m.
What’s fall without a hayride and Halloween without haunting? Head to the historic Daly Mansion in Hamilton for both of these things—haunted hayrides. Ghouls, ghosts and goblins wander the mansion grounds. Witness a zombie wedding, scary clowns and a hillbilly village. Bonus: The Bitterroot Valley is absolutely stunning this time of year, so add a leaf-peeping scenic drive onto either end of your hayride, whether you stick to Highway 93 or turn off into one of the Bitterroot’s scenic canyons to pull over and take a golden fall hike (costumes optional, hiking shoes recommended). Hailed as “Western Montana’s #1 Haunted Attraction” Victor’s Field of Screams is exactly what it sounds like it is. Daytime fun turns into nighttime terror. 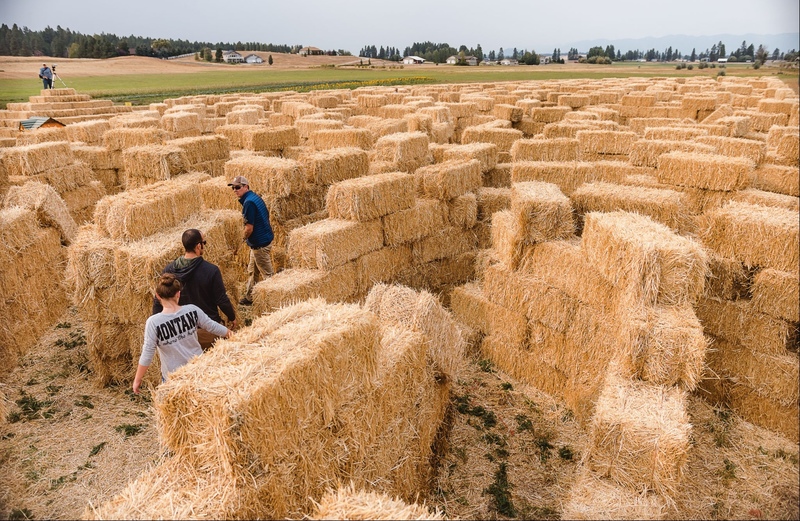 Bring your little goblins by during the daylight hours for wagon rides, a hay bale tower and cornfield fun without the spooks. But when the sun goes down the zombies come out, and it’s time for the big kids to play. Field of Screams is not for the faint of heart. Thrills and chills abound. Open through October 31, 2017, 10 a.m. – 5 p.m. Picking out a pumpkin is part of the magic of the season, and building a day of autumn adventure around it makes it all the more special. 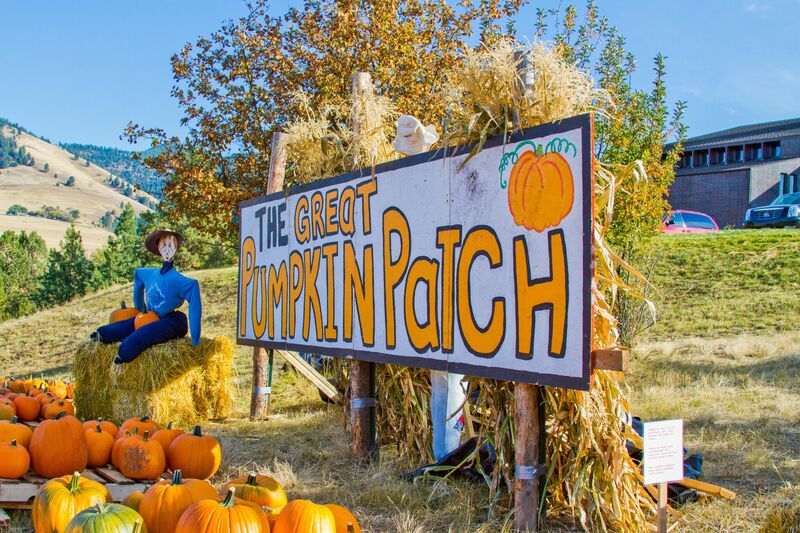 Head to the breathtaking (especially this time of year) Flathead Valley and make fall farm memories at the family-run Sweet Pickin’s Pumpkin Patch, with activities like a giant jumping pillow and a huge construction site sand box, plus tractor tours, farm animals and train rides. Jump in the corn kernel shed, hang out by the plum trees, and savor the season with caramel apples, kettle corn and hot chocolate. Oh, and don’t forget to pick out a pumpkin! November 2, 2017, 6 – 8:30 p.m. Inspired by the traditions of the Mexican holiday El Dia de los Muertos (Day of the Dead), Missoula’s unique and popular annual Festival of the Dead is a multicultural family-friendly event celebrating life and death through community arts. 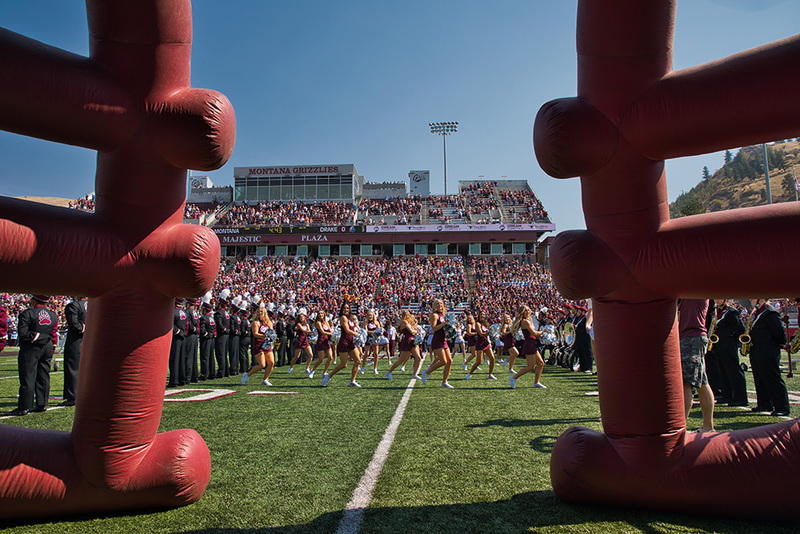 The festival culminates with a procession, which begins at the north end of downtown Missoula’s Higgins Avenue and processes to Caras Park, with post-procession performances by the University of Montana’s African Dance Class and Unity Dance and Drum. 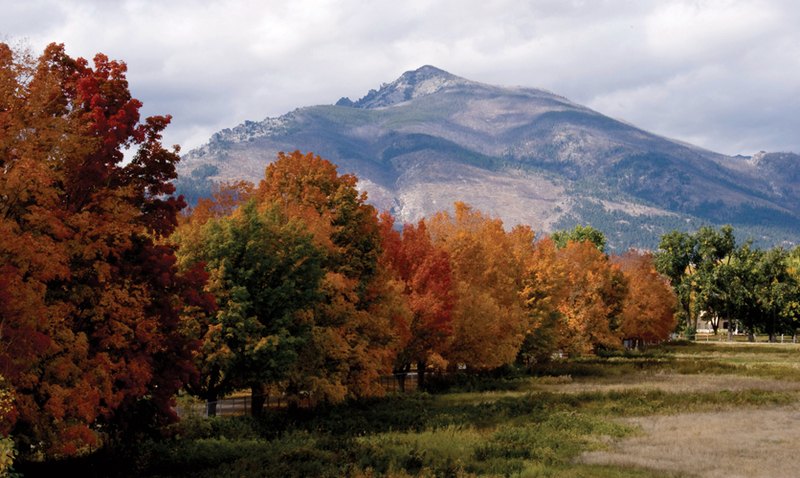 Harvest Wrap-Up: Glacier Country’s rich autumn traditions are the perfect way to take in fall in Montana. Do note: It’s the season of favorite flannels and cozy sweaters, but be prepared for any kind of weather this time of year. 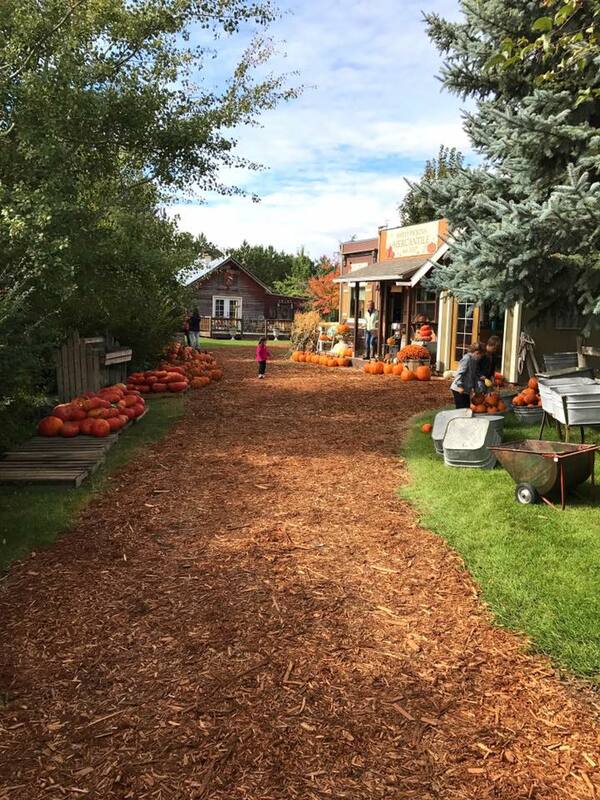 For more fall fun, visit our Fall in Montana page, where we’ve compiled a list of autumn activity ideas and events in our little corner of Big Sky Country. 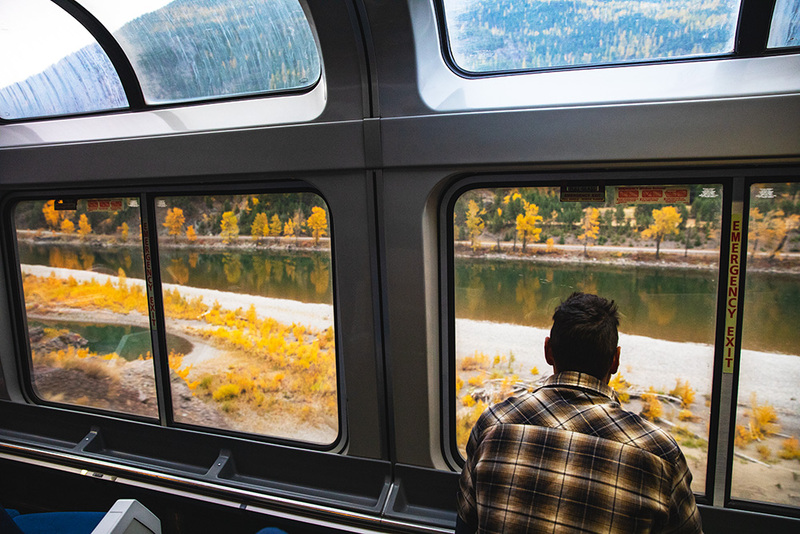 Be in the know about all the finest fall happenings, and also learn where to hike, bike, float, fish, golf and camp—all the obvious things we love about Montana—among the vibrant fall colors. 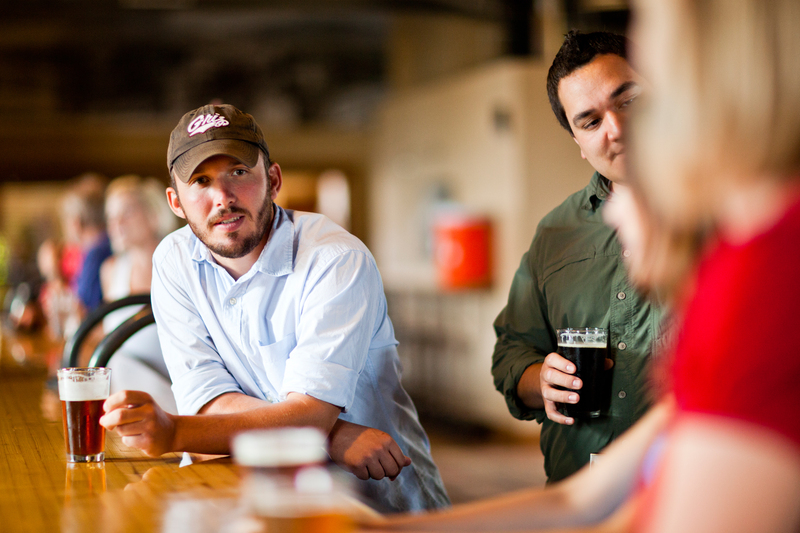 We’ll also help you find the best local spots to kick back and relax with some of Montana’s favorite fall flavors (think pumpkin ice cream) and tastiest seasonal brews. 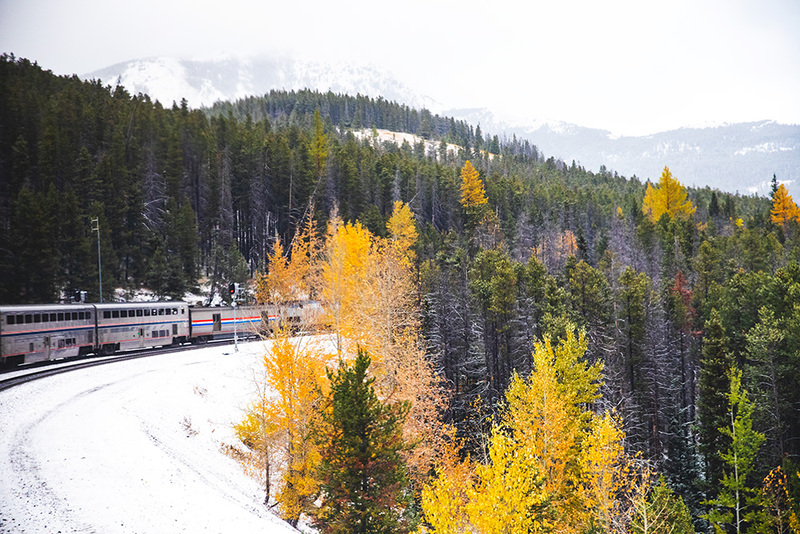 There’s something for every member of the family to enjoy in a Montana autumn, plus shoulder-season pricing. This entry was posted in Arts and Culture, Autumn, Bitterroot Valley, Events, Fall, Family Fun, Flathead Valley, Hamilton, Holidays, Kalispell, Missoula, Montana, Montana Fun, Outdoor Fun, Things To Do, Uncategorized, Victor on October 17, 2017 by glaciermt. 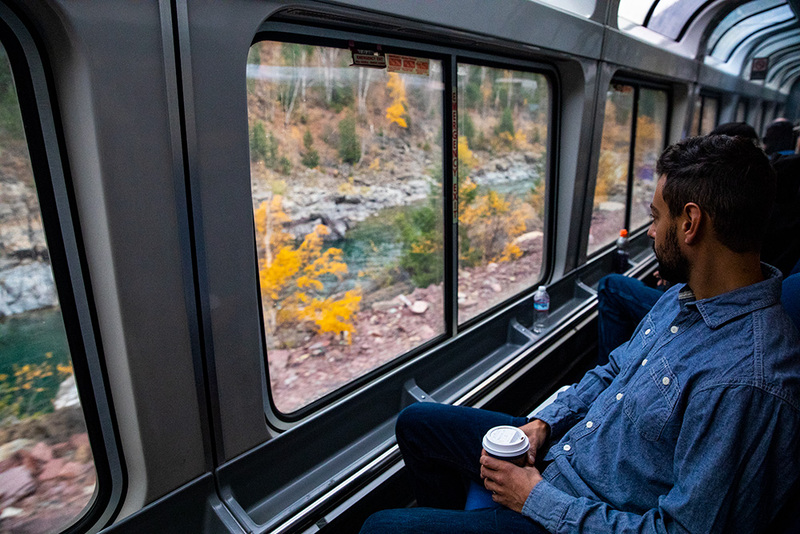 When you think of Montana, you probably think of sweeping mountain landscapes and epic outdoor adventure—and you aren’t wrong. But one thing you might miss if you don’t look closely enough is the cache of cultural heritage created by generations of Montanans celebrating the rich roots of our region. This legacy has been carefully preserved by several Glacier Country museums that round out Western Montana’s communities. 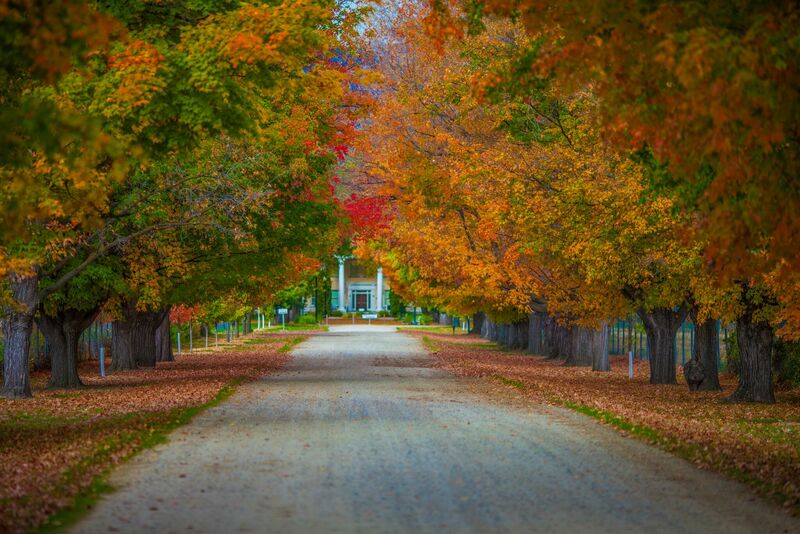 Here’s a list of some of our favorite hot spots for history in our little slice of heaven. 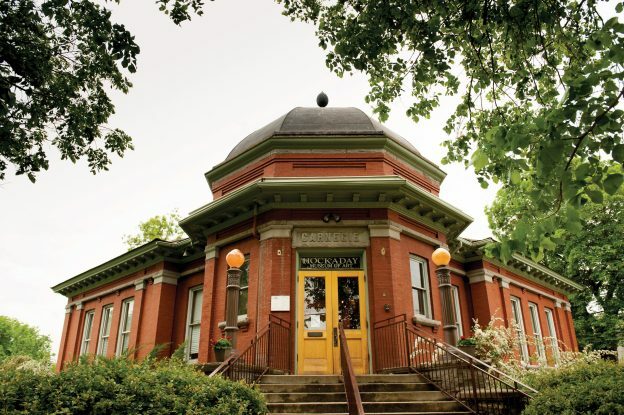 Housed in the charming, turn-of-the century Carnegie Library Building, the Hockaday Museum of Art is a tribute to the diverse cultural work inspired by Montana and Glacier National Park. The Hockaday collection features Montana and Blackfeet Nation artists, and includes paintings, writings, photographs and pottery that are historically significant to the region. Located in historic Fort Missoula (established by the U.S. government in 1877), the Historical Museum at Fort Missoula uses several galleries to tell the story of Missoula’s complex and captivating history. The museum includes historic photographs, correspondence and artifacts culled from donations of over 40,000 historical objects. Tuesday – Sunday: 12:00 p.m. – 5:00 p.m.
Ninepipes has a beautiful pond overlooking the Mission Mountains. For those interested in the history of the Rocky Mountain West, Ninepipes Museum of Early Montana will fascinate with its collection of art, photos and artifacts that depict American Indian and frontier life on and around the Flathead Indian Reservation. From antique weaponry to covered wagons to traditional dress and beadwork, Ninepipes has something for everyone. Mondays – Saturdays: 9 a.m. – 5 p.m. Devoted to exhibiting local history, the Glacier County Historical Museum and Archive includes a 1917 schoolhouse, an oil worker’s house and a replica of a homestead house and farm. On weekends, interact with costumed characters circa 1915, who help demonstrate what life might have been like for Montana homesteaders. The Museum of the Plains Indian exhibits historic artistic pieces and traditional dress from the tribes of the Northern Plains. The museum also promotes and features the art of contemporary American Indian artists and craftspeople. Exhibits particularly celebrate the diversity of cultural expression across the many different tribes of the region. 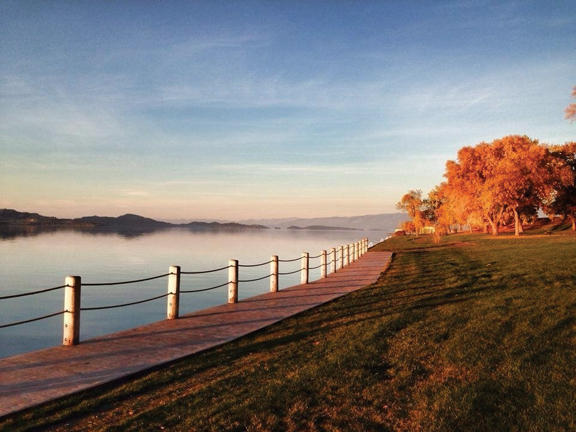 Sunday – Monday: 9:00 a.m. – 4:30 p.m.
Polson is breathtaking in the fall. The Miracle of America Museum has been nicknamed the “Smithsonian of the West” because of its diversity of artifacts. Among its many objects are vintage vehicles, aircraft, antique winter tools and old toys. The museum also offers special exhibits and activities geared toward kids. Sunday – Monday: 8:00 a.m. – 6:00 p.m.
Sunday: 1:30 p.m. – 5 p.m. Whether you’re interested in the history of Glacier National Park, the expedition of Lewis and Clark, American Indian culture or Western Montana’s role in mining and railroad life, Glacier Country’s museums have you covered with art, artifacts and literature on display, plus interpretive tours and trails. Go right ahead and take advantage of our tradition of preserving our region’s culture and history. You’ll learn something new, and you’ll have fun doing it. Plus, our museums are all housed in charming small towns that are also definitely worth exploring. Trip Tip: Take a piece of Western Montana with you…don’t miss our museum gift shops! This entry was posted in Browning, Charlo, Cut Bank, Fall, Kalispell, Missoula, Polson, Uncategorized, vacation, Winter Fun on September 22, 2017 by glaciermt. 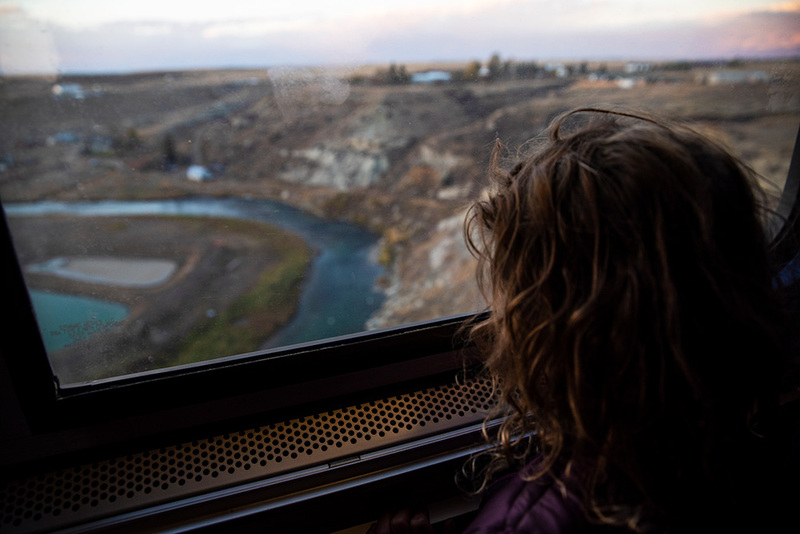 Western Montana’s jaw-dropping natural beauty and wide open spaces are perfect for nurturing the imagination. That means there’s no shortage of creative genius in our roots. Artists are drawn here from all over the world. Our communities are alive with arts and culture, and our festivities are often centered around one of our favorite things—music, which we take pretty seriously around these parts. 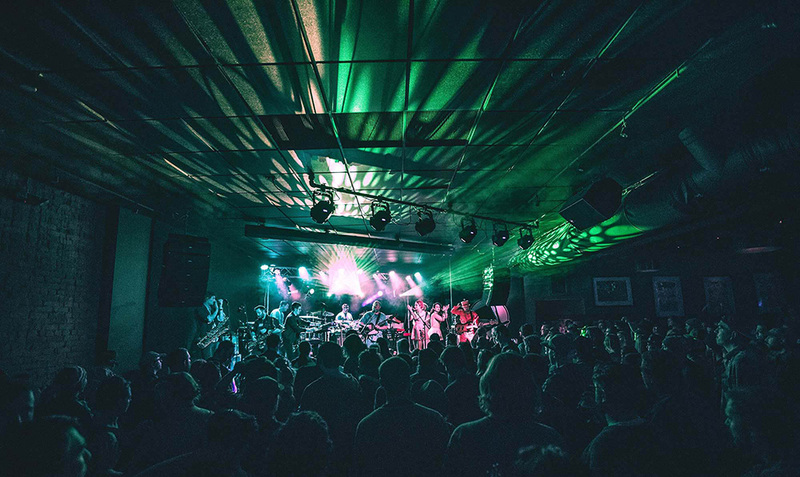 Glacier Country offers the perfect combination of diverse venues, small-town charm and breathtaking scenery, so it’s no surprise that there’s always some form of musical entertainment to take in. 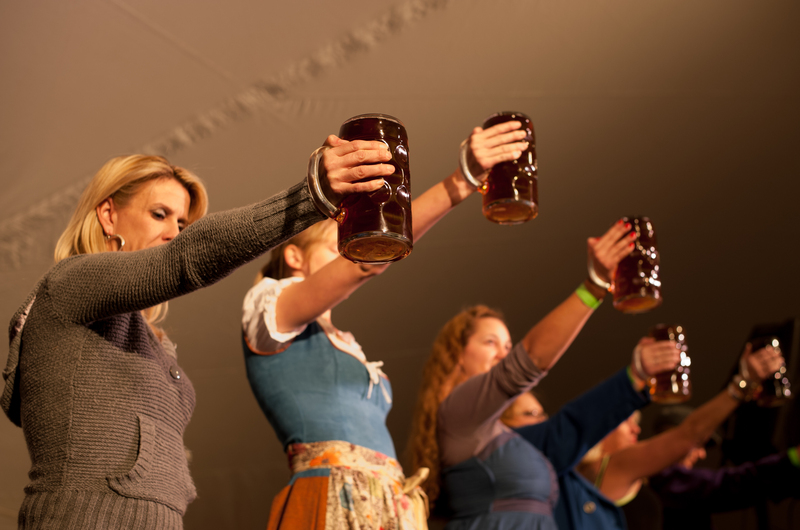 From seasonal symphonies to outdoor concerts and festivals featuring local and national acts to local bands in favorite bars, music echoes in these mountains any chance it gets…which is pretty often. Well, all the time, actually. 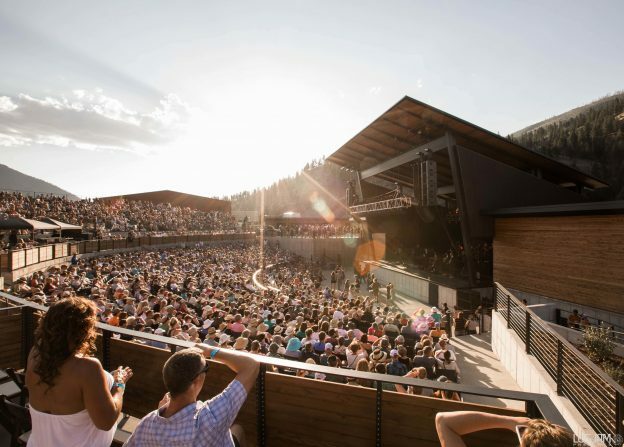 We host some of the best music festivals west of the Continental Divide, in unique indoor and outdoor settings big and small. Plan your late summer or early fall visit around one of the events below, put on your dancing shoes, and come hear what’s playing under the big sky. One of Western Montana’s newest concert locales is now open and offering a rare treat for music lovers in the 4000-capacity open-air venue right on the edge of the Blackfoot River adjacent to Kettlehouse Brewery. For over a decade, Big Sky Brewing Company has hosted concerts on their scenic Missoula grounds, and they’ve recently (earlier this year!) unveiled a brand new state-of-the-art amphitheater, designed with larger productions in mind. The August 2017 Travelers’ Rest Festival (presented by The Decemberists) brings stellar artists and fresh mini donuts. What’s not to love? Mozart in the mountains? We’re all about that. Seven days of classical music against the backdrop of Glacier National Park sounds like a pretty good time to us. The Glacier Symphony and Chorale is an established cultural treasure and Festival Amadeus offers an engaging lineup of highly acclaimed musicians in Whitefish. Enjoy the deep south in the wild West with blues under the big sky. The Flathead Lake Blues Festival in Polson showcases musicians from all over Western Montana, situated right on the shores of stunning Flathead Lake. This year’s festival features Ladies of the Blues and several International Blues Challenge competitors. Listening to bagpipes in Montana’s beautiful Bitterroot Valley is one way to enjoy a summer visit to Glacier Country. Come to Hamilton’s historic Daly Mansion for pipes, drums and Irish step dancing—and a “Shamrock vs. Thistle” Irish whisky and scotch comparison, of course. 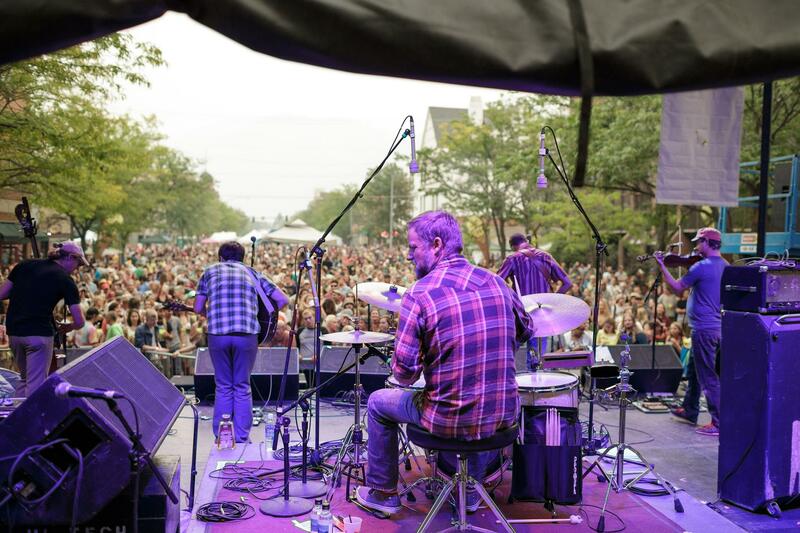 The River City Roots Festival is fun-filled free community concert held in Downtown Missoula. 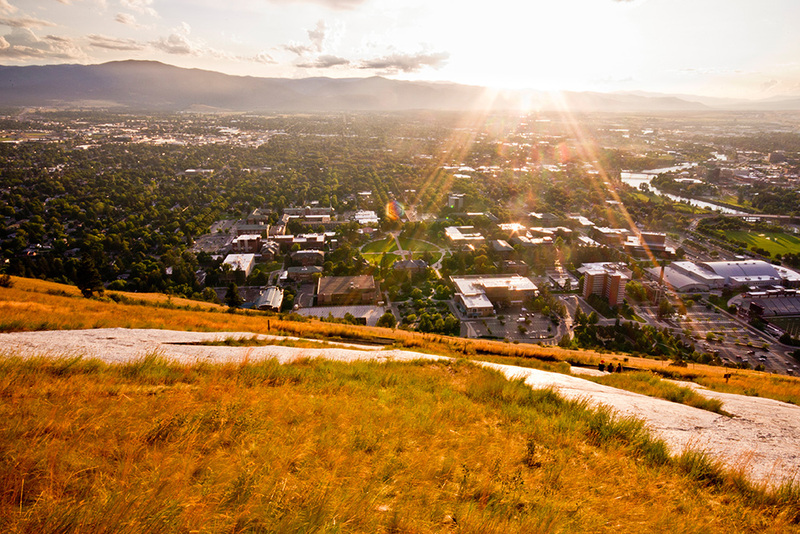 For a true taste of the heart and soul of Missoula, plan your visit around its signature event, the River City Roots Festival. Recognized as the 2009 Montana Tourism Event of the Year, the Roots Fest is a free two-day festival offering exceptional music, local art and family fun. Dancing in the streets highly encouraged. Billed as “summer’s best backyard party,” The Crown Guitar Workshop & Festival at Averill’s Flathead Lake Lodge in Bigfork draws guitar lovers from all over the world. Hear music legends perform in a small meadow venue and enjoy family-style meals in the log cabin Main Lodge. 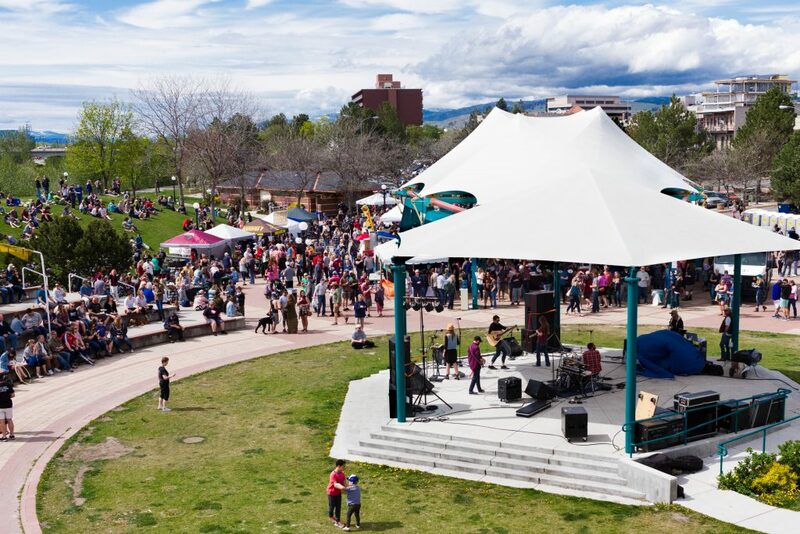 Caras Park in Missoula has many outdoor music events throughout the spring, summer and fall. Grab a blanket, pack your picnic basket and head to Caras Park for this free, family-friendly downtown Missoula summertime tradition—an evening of pops favorites and classical music overlooking the Clark Fork River. This entry was posted in Arts and Culture, Bigfork, Bitterroot Valley, Events, Fall, Family Fun, Flathead Valley, Hamilton, Missoula, Montana Fun, Polson, Uncategorized, Whitefish on August 2, 2017 by glaciermt.